Hi my name is Richard Huntley, and If you are the type of person who has always struggled with losing the stubborn fat off your body, chances are you have been lead down the wrong path with no real fat loss results. So if your goal is to lose fat as fast as humanly possible, it should come to no surprise that you must learn a proven strategic plan to get you the results you want and truly deserve. The harsh reality is that you probably aren’t even burning fat while you sit hear and read this, but here’s where you will discover these “3 Reasons You’re NOT Burning Fat 24/7″ and how you can change this in as little as 14 short days. 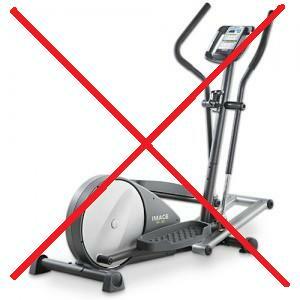 Typical cardio exercises like spending 45 minutes on a piece of cardio gym equipment won’t keep you burning fat throughout the day, especially with there one sized gym machine fits all approach. If you are really looking to burn fat throughout the day, you must be performing exercises that have a long-standing effect on your metabolism for hours after your workout is done. In fact, research has shown that a precise Metabolic Conditioning routine can increase your metabolism up to 48 hours after your workout. So guess how much more fat you would lose by doing these style workouts? Yes, a ton more than traditional cardio training that’s for sure. So what is metabolic conditioning? It basically consists of total body exercises linked together with shortened cardiovascular recovery. This means you will get your workout done in 10-20 minutes and still achieve better results than working out for an hour. It’s because you have increased the metabolic effect during your workout you will continue to burn fat after your workout has finished, and up to 48 hours after. And this is why people are switching over to this style of fat burning exercises. Less time MORE Results! If you want to successfully continue to burn fat throughout the day you will have to keep your hormones adjusted to the right balance to keep you in fat burning mode. Now there is one sneaky hormone that is locking in your fat fast, and especially in the belly area. 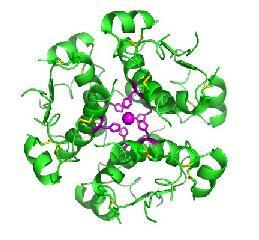 The main SNEAKY hormone to control is called insulin. What takes this hormone into fat storage action is when we consume to many high glycemic foods, and then insulin does its job of storing the fat cells with all of the bad toxins you have eaten. So you can understand how keeping this hormone under control with eating the right type of foods is the right way to not lock in and store fat. Simply put, not all calories are created equal so counting all calories as the same as a lot of dieters do is setting yourself up for failure with not consuming the good nutrients your body needs. This strategy of counting calories just makes you feel tired, lethargic and most of all hungry. And this is one piece of the puzzle that keeps you from losing weight and burning fat. 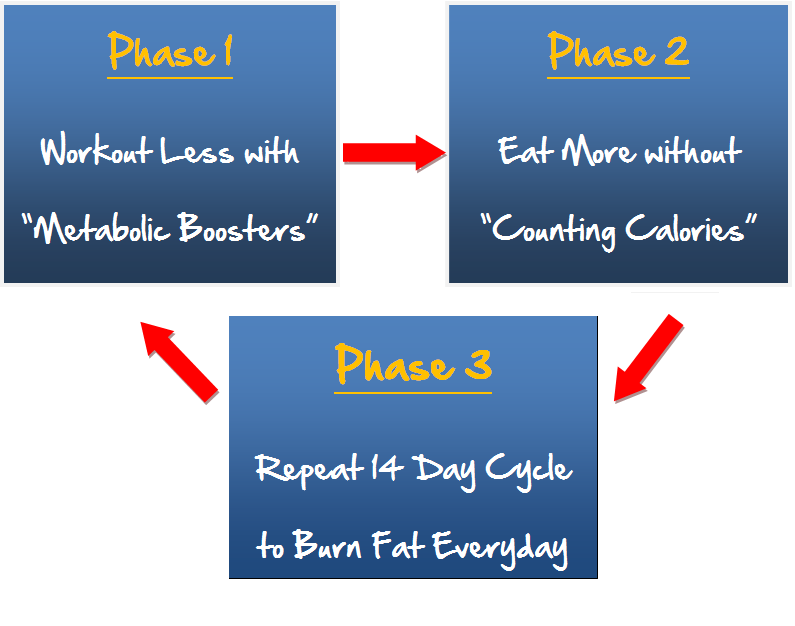 Having a clear structured fat loss plan that brings results fast, but does NOT give you Rebound weight like most diets and workout programs do. The staggering fact is that less than 10% of people who begin a diet and exercise program actually stick with it for any length of time. Like i mentioned before most people are just being mislead the wrong information about burning fat and they have no scientific proof behind their methods. They may lose a few measly pounds “here and there” but it’s only water and muscle tissue. What you need is something that torches the fat staright off your body, and most of all KEEPS it off! You could STOP feeling embarrassed about your body finally, and didn’t have to worry about covering up your loose flabby body parts that you’ve always kept out of sight. You could know that just using 30 minutes a week of specific simplified exercises, you would feel and look BETTER than people running like a “hamster wheel” for endless hours on a treadmill EVERYDAY. Your body looks lean, toned and functionally fit that turns head where ever you go, with feeling confident, and your friends just can’t believe how amazing you look. You have More energy throughout the day and your skin has a fresh new glow to it. Yes you read that correct. 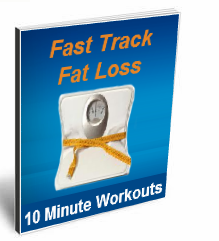 You WILL actually exercise less and burn tons of fat by using the Fast Track 10 minute “Metabolic Boosters”. These style exercises have been designed to consist of full-body movements linked together with shortened cardiovascular recovery, and this TRIGGERS off your fat burning hormones instantly. This leads to a “Boosted Metabolism” through the roof that will KEEP you in fat burning mode throughout the day. With this plan you’ll NEVER be starving yourself like most other strict calorie diets out there. Actually you won’t even be counting calories at all! Instead you’ll be FIXING your Broken fat burning hormones while still enjoying all your favorite foods. 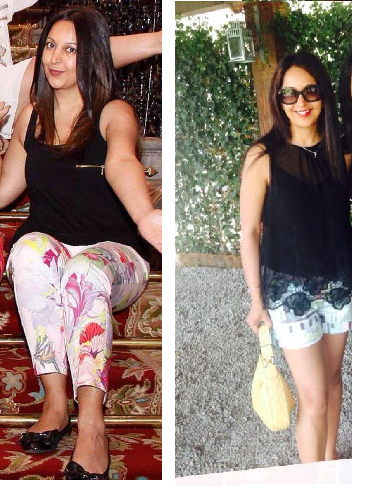 “I followed the fast track plan exactly and lost just over 10lbs in 14 days and the best part was never being hungry at all! The exercises are great and really boost my energy throughout the day. All my friends keep asking me what i have done to lose the weight, and i always refer them to Richard’s fast track fat loss program as it gives you fast results in a short time, which keeps you motivated and feels great. Thanks to you, I achieved my goal of losing 30 pounds in 3 months and kept it off! All this without a gym membership! 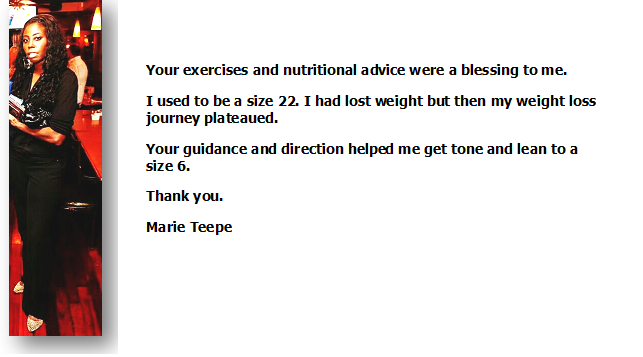 Thank you for giving me the tools on how to make simple, effective and beneficial changes. And the spiritual motivational aspect you bring is just brilliant. 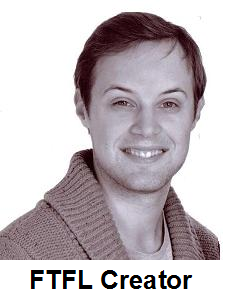 I genuinely believe that Richard focuses on the correct and healthy way to be well. 6 months on the weight has stayed off and I am vindicated after achieving a goal. Some people said it would be hard as I am over 30 but truth be told if you follow Richard’s advice it is both fun and easy and results come quickly. 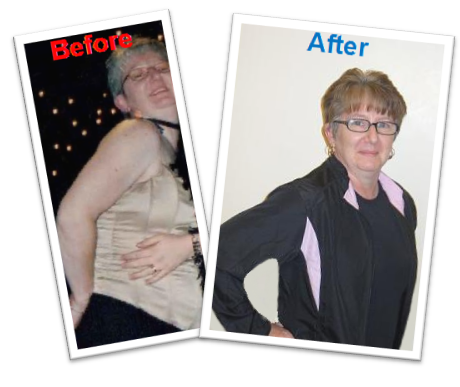 “I am a 48 year old mother of two boys who over time had put on weight and become very unfit. I became very unhappy with my weight after seeing a Christmas photograph of myself. Overall i was very unhappy with my appearance and fitness so i decided that i needed help and guidance on how i was going to lose weight effectively. Within the first month of using Richard’s exercise’s and his unique lifestyle approach, the weight literally started to drop off. I am writing this 18 months later and have dropped over 35 pounds and not been this fit and healthy in a long time! 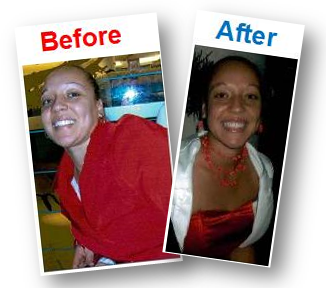 Now you have seen for yourself just some of the Success Stories let me introduce you to the Fast Track Fat Loss Program. How to banish your boring old diet and burn fat faster with bringing your foods to life. Yummy foods prepared in as little as just 10 minutes. Start Today For Only $19 and In 14 Days You’ll Love What Happens to Your Body! Click HERE to Try the FTFL program for just $19! I’m so confident to know this system works, as do the many individuals who have already experienced its rapid fat loss results first hand. But at the same time, we understand that you still may be skeptical, and as such we want to do everything we can to make this a risk-free decision for you. For only $19, you get to try all my PROVEN and TESTED fat burning strategies to take and start getting your body in shape fast. I literally can’t wait to hear about the incredible results you’ve already experience just a few short weeks from now. P.S. I’m so confident you’re going to love looking into the mirror in just a few weeks that I’m willing to give you The Fast Track Fat Loss today for just $19. Then on Day 14, AFTER you LOVE the results, you’ll be glad you got this fat burning plan. Remember, with our Iron-clad, 100% Money-back Guarantee, we’re giving you 60 risk-free days to discover what countless others already have—this is the most strategic, fastest fat loss program EVER developed. Grab it RISK-FREE today. Now its decision time and this could be the most important decision of your life. 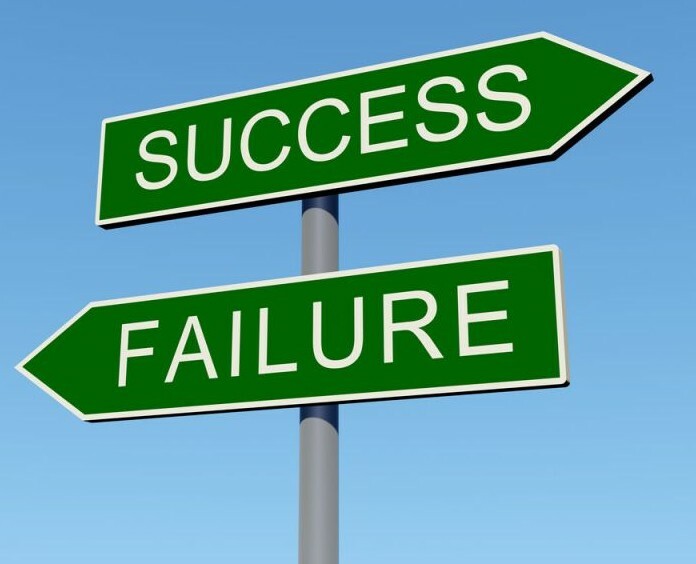 You’re at a crossroads right now and you’ve really just got two options. Option one is for you to leave this page, ignore that feeling deep inside on wanting to change, and go back to the frustrated feeling with a life where you are being confused and guessing what to do without achieving and most of all keeping any real long lasting body transforming results. You can do that if you want to but if you’ve read this far, chances are you know what you’re doing now just isn’t working. You can feel yourself longing for more and you deserve more. Which brings us to option two… Take one tiny action today that will have an incredible impact on the rest of your life. Simply click the button below right now, enter your credit card information and dive into the Fast Track Fat Loss program. Feel the change in yourself as you wake up to the truth about losing more fat in less time, without being confused anymore as I guide you through what will really work for you fast. Probably Find The Answer Below! 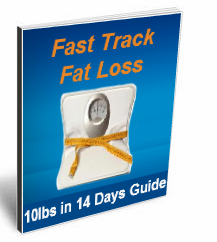 Q: What is the Fast Track Fat Loss Program and how does it work so fast? The FTFL Program literally shows you how to burn off more stubborn fat in LESS Time than any of the general fitness programs out there. 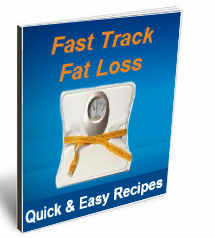 The Fast Track Fat Loss program is a complete system full of easy to follow along exercises in the manuals for you to workout in your very own home or anywhere you like. This program is all about getting you results fast with my best of the best unique exercise and diet strategies that will literally help turn you into a fat burning machine throughout the day. Q: But what if I have a lot of fat to lose? It really doesn’t matter whether you are in good shape, or just starting out on your fat loss journey. The secrets you’ll learn in the FTFL program will work for anyone wanting to transform their body fast within waiting around for months without seeing any results. You’ll see amazing VISUAL body results within the first 14 days and a lighter number on the scale, and not forgetting that you’ll be able to slide back into those skinny jeans too. Q: Will I lose weight only for me to put it back on? No way. Lot’s of other trendy celeb diets and fitness programs out there tend to not work in the long run but this program changes that. Once you put these methods into practice you’ll disover for yourself the answer to burning more fat 24/7. 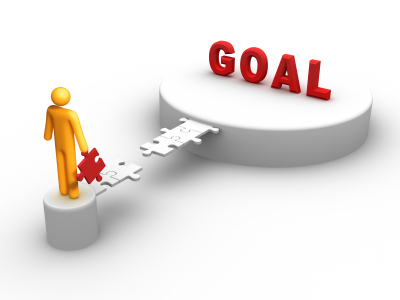 Listen Carefully, I am all about getting you results. 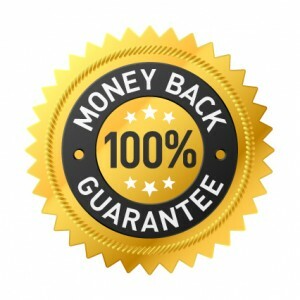 I want you to take no risk at all and just to prove to you that how confident i am in the Fastest fat loss Program, and i’ve even given you a 60 day 100% money back guarantee. As you can see now, you have nothing to lose… Only body fat, so let’s get started. 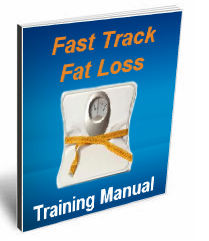 After you order, you will get INSTANT ACCESS to download all product components for your Fast Track Fat Loss program onto your computer so you can starting burning fat today!